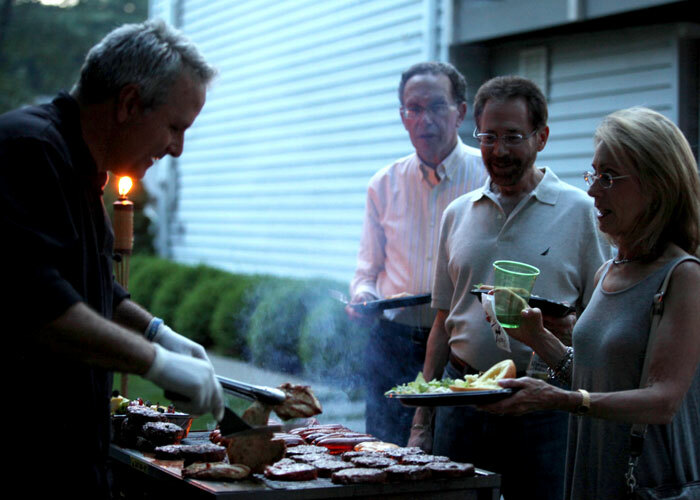 Livingston Caterers loves a good barbecue – who doesn’t smile when they hear that word? If you’ve got a yearning for barbecue, but don’t feel like sweating, let us handle it. We can satisfy your taste buds and give you personalized attention to create the perfect party that is sure to please you and your guests. No matter how many guests you're expecting, our talented team will let you kick back and enjoy yourself, while you leave the details to us. We make outdoor gatherings easy for our clients. Regardless if it is for a business, social group or organization, Livingston Caterers can make the planning of your barbecue nearly as enjoyable as the event itself! With more than 50 selections to choose from, there’s something to please everyone. From theme and décor to menu and timeline, from the day you call until the day after your event, BBQ Experts event planning and execution starts and ends with our team of experts. Whether it’s a pool party, an evening cocktail party or a corporate team building event for hundreds, the BBQ Experts have the knowledge and experience to anticipate the unexpected and deliver a satisfying occasion for all involved. If interested, schedule a free no-obligation consultation with one of our event planning specialists - you will be happy you did!